We have been installing fire sprinklers in Brentwood and the vicinity since 1974 with the best in equipment, technical know-how and technicians in the industry. We sell install the best in fire sprinklers, as well as fire protection and suppression equipment, portable fire extinguishers and cabinets. Our customer’s rate our grease exhaust cleaning services as being unsurpassed and our commercial grease filter exchange as the most reliable. 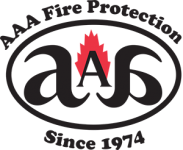 AAA Fire Protection Services prides itself on honesty, loyalty and never forgetting we are here for your safety. When it comes to protection and peace of mind, there can never be shortcuts. We truly care. In the many years we have been in business, we have provided fire protection services for thousands of restaurants and industrial clients. As a family-owned and run company we have the utmost commitment to the well-being of our Brentwood customers and employees. Whether you own an eatery or you are a processing or industrial client, the pledge of AAA Fire Protection Services is to ensure the safety of you, your staff and your Brentwood facility.